DO-20021-38 was succesfully added to your cart. 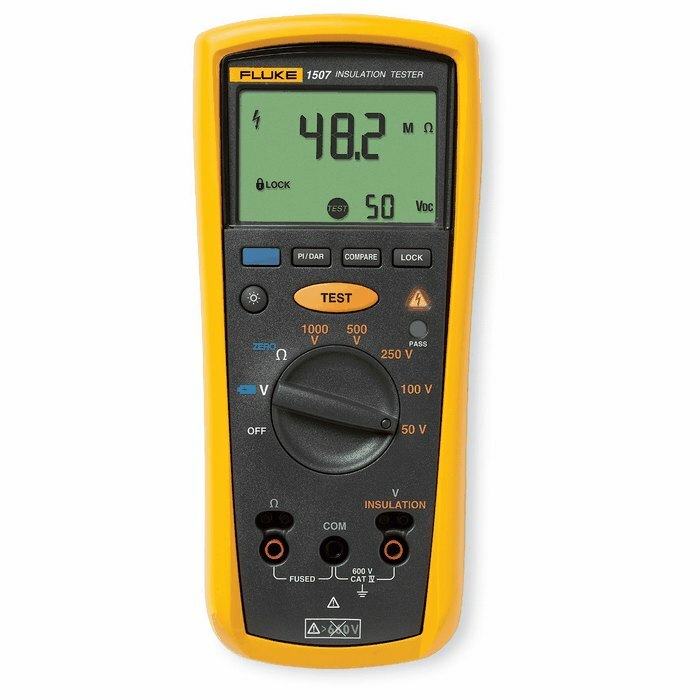 The Fluke 1507 and 1503 insulation testers are compact, rugged, reliable and easy to use. With their multiple test voltages, they are ideal for many troubleshooting, commissioning, and preventative maintenance applications. Additional features on the tools save both time and money when performing tests. They offer great performance for an exceptional value. We need to do a meg test on a home hit by lightning. Would this be the tool you would recommend? This meter is well suited for this application and is ideal for many other troubleshooting, commissioning and preventative maintenance applications.